Moog Animatics will no longer print/distribute individual product datasheets. Instead, these are now available on each product’s web page. Effective immediately, Moog Animatics will no longer print/distribute individual product datasheets. 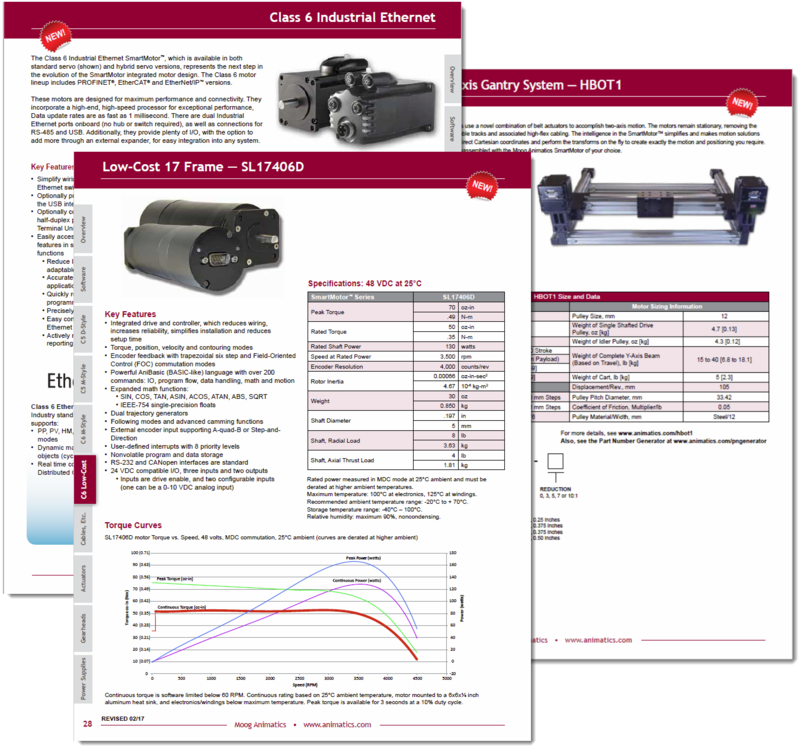 Instead, the product datasheets are available for download as a user-printable PDF file directly from each product’s web page. As always, our foremost goal is to engineer our SmartMotor™ products with the latest technological innovations, manufacture them to the highest quality standards and then provide them to you at the lowest possible cost. These advantages make the SmartMotor™ the obvious choice for your customers’ automation projects. Thank you for being a valued Channel Partner.